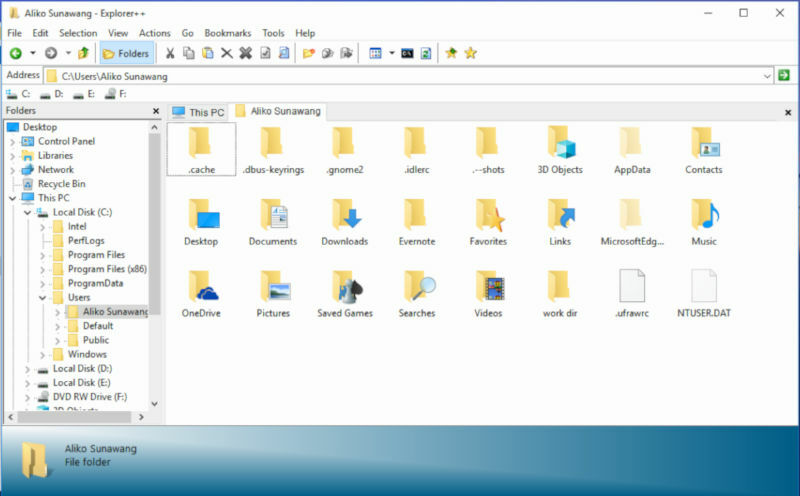 Windows 10 still offers File Explorer (previously known as Windows Explorer) to allow users manage files they have. For basic file management, File Explorer might is good. But, you need another alternative for a more complex file management. One of the features missed by File Explorer since it was firstly included in Windows 95 is multiple tabs. A file manager with the capability of opening multiple tabs is pretty helpful if you have to copy a bunch of files from a folder to another. You don’t have to open multiple windows only to copy files. Sadly, File Explorer doesn’t have this sort of capability. There are a bunch of file manager apps for Windows 10 developed by third party developers that offer more features than File Explorer. Following are 7 of which that offer a feature of opening multiple tabs. Explorer++ is a free File Explorer alternative you can install on Windows 10. What differs most between Explorer++ and File Explorer is that Explorer++ comes with a tabbed interface. You can open multiple tabs in a single window of Explorer++. This feature is pretty helpful if you have to copy dozens files from one folder to another in Windows 10. It helps you enhance efficiency. The overall features offered by Explorer++ are actually not much different to File Explorer. But again, it comes with a tabbed interface to enhance efficiency if you have to copy a bunch of files. Explorer++ itself is released as an open source software. You can check the development cycle of this app as well as see the source code on its GitHub page. XYplorer offers more features than Explorer++. In addition to tabbed interface to enhance your efficiency when working, this file manager also offers an optional dual-pane interface. 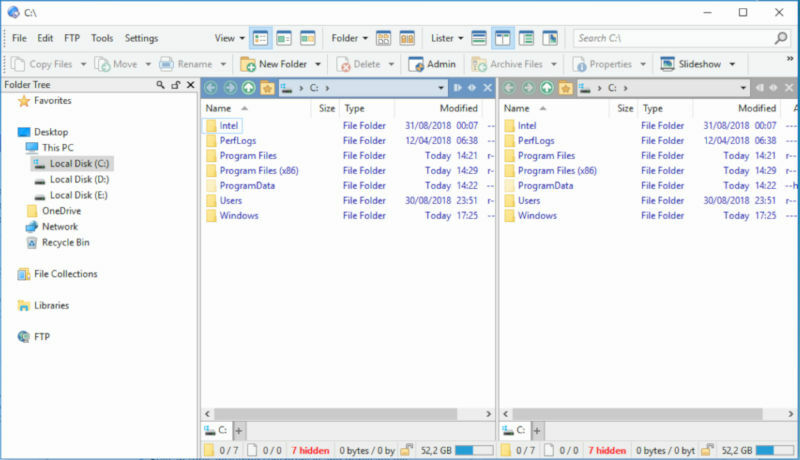 It makes XYplorer a great tool if your job involves copying a bunch of files every day. XYplorer offers a customizable interface. You can also customize the default shortcuts if you want to. If your Windows 10 computer supports touch screen, XYplorer also offers a Touchscreen Mode feature. Turning this mode on will disable mouse click functionality. One of the advantages offered by XYxplorer is it consumes little computer memory (RAM). 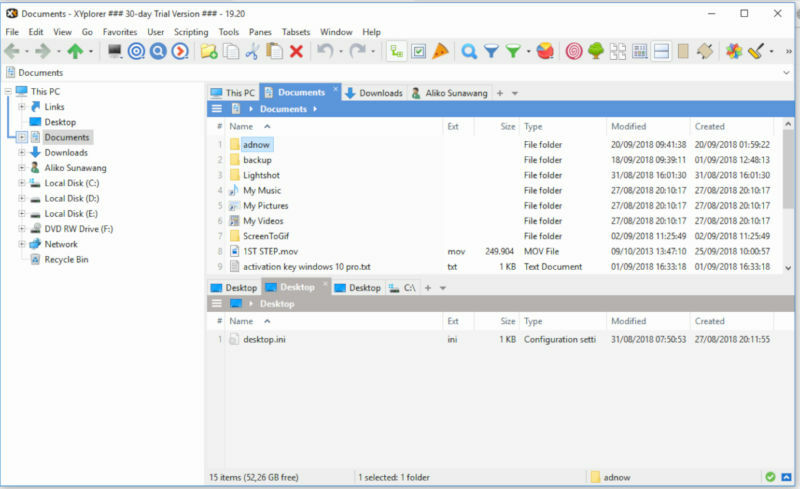 One crucial thing to note, XYplorer is a paid file manager, but you will be able to try this app for free for 30 days during the trial period. Windows doesn’t offer a built-in tool to extract archive files like ZIP or RAR. You need to install an archive manager before being able to extract an archive file. Directory Opus is a file manager that offers a built-in archive manager. You can extract as well as create a new archive file with this file manager without installing additional archive manager. The built-in archive manager of Directory Opus supports ZIP, 7Zip and RAR archive formats. 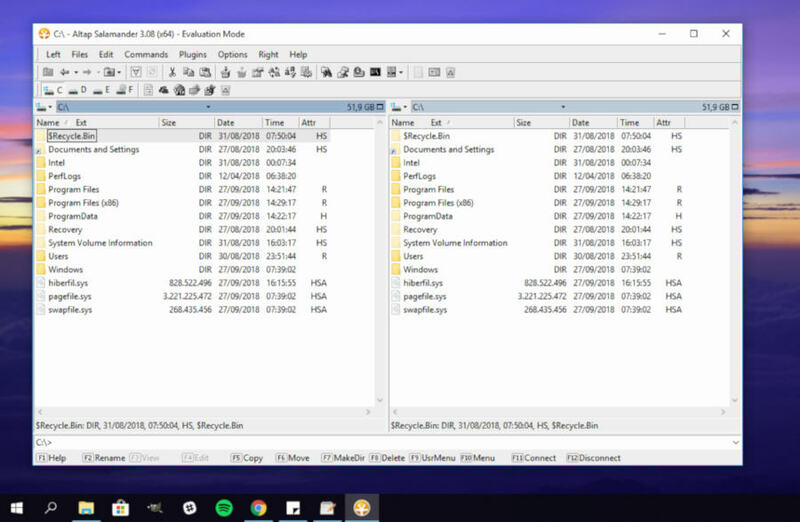 While its tabbed interface lets you keep multiple folders open and switch quickly between them, you can also switch to dual-panel mode if you need to. Other highlight features offered by Directory Opus is FTP client. You don’t need to install additional FTP client to upload or download files to/from server via FTP protocol. Same as XYplorer, Directory Opus is also a paid app. You are given a 60-day trial period to try this feature-rich file manager for free. 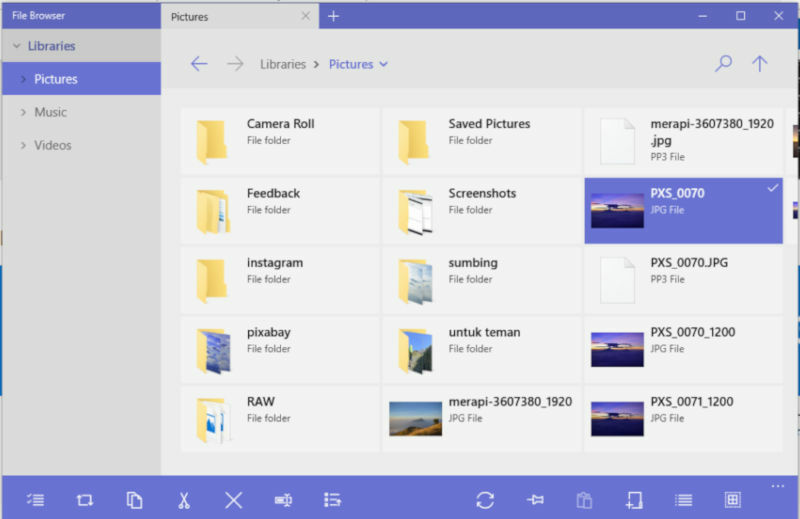 Altap Salamander is another feature-rich file manager you can install on Windows 10 to replace File Explorer. Dual-panel interface which also supports multiple tabs is also highlight feature offered by Altap Salamander. In addition, this tool also offers a bunch of built-in file administration features like Directory Opus above. Actually, Altap Salamander takes advantage of some existing tools like 7-Zip. Thanks to its built-in archive manager offered by Altap Salamander, you can extract as well as create new archive files without needing to install external archive manager. Altap Salamander also offers some network protocols. In addition to FTP, you can also use Altap Salamander as a client app of network protocols like SCP, FTPS, SCP, or SFTP. Other highlight features offered by Altap Salamander include batch renamer, registry editor and file comparator. 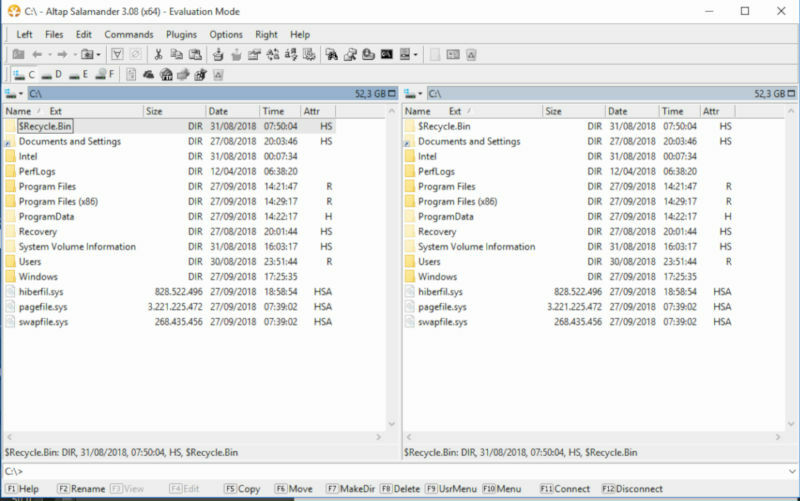 Altap Salamander is also a paid file manager. You have 30 days to use this tool for free during the trial period. 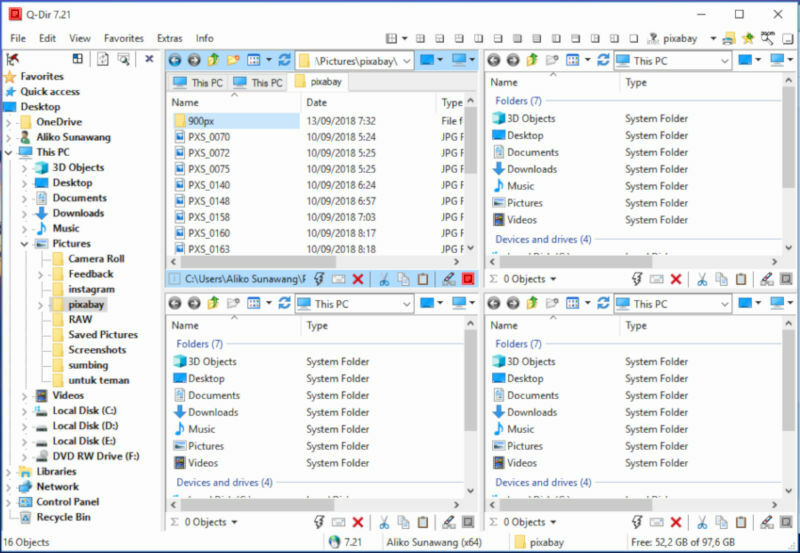 Free Commander is another File Explorer alternative that supports multiple tabs. If you want, you can also switch to dual-panel mode to enhance efficiency when working with a bunch of files with the aim of manage them. As the name suggests, Free Commander is a free file manager, but the features offered by this tool is rich enough. Free Commander offers built-in FTP client and archive manager although only supports ZIP. Free Commander offers shortcuts that you can customize. A simple feature yet useful offered by Free Commander that is not available on other file managers above is screenshot tool. By default, the window of Q-Dir is splitted into four panels with each panel can handle multiple tabs. But, you can also change it into three, two or even a single panel. 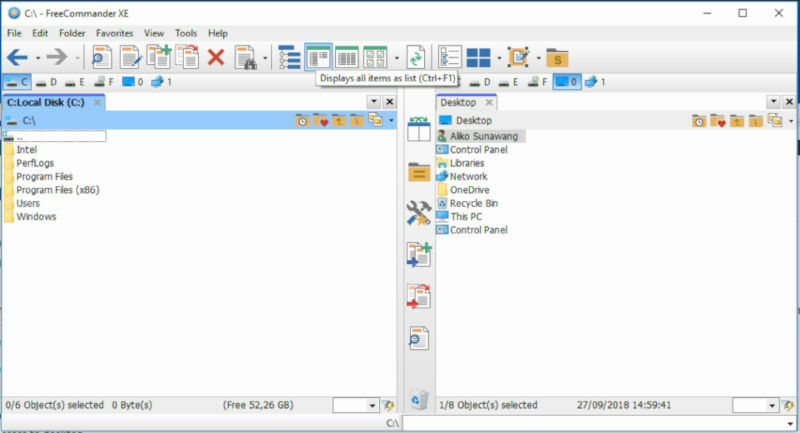 Unlike other file managers above which offer some features outside of file management features, Q-Dir focuses on providing a file manager functionality. Not much features offered by Q-Dir outside of file management. File Browser is a bit different to all file managers above. While all tools above are distributed via binary files which you can download via their official sites, File Browser is distributed via Microsoft Store. This tool seems is developed exclusively for Windows 10 devices. File Browser itself doesn’t offer much features. It offers a very basic features of file management. File Browser comes in a pretty interface. It also supports multiple tabs. However, you need to upgrade to premium to use this feature. File Browser is a freemium file manager.